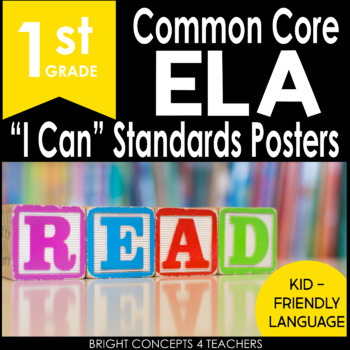 Save yourself TONS of time when you buy these pre-made kid-friendly FIRST Grade Common Core "I Can" Standards Posters for ELA ONLY! 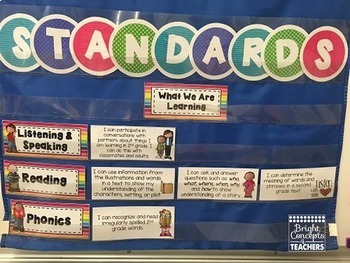 Do you need a fast, easy, and effective way to display all the Common Core standards you are teaching to your students? Then, these posters are for you! Each poster is less than a half sheet of paper which helps save space when displaying and storing them. They are also two-sided. 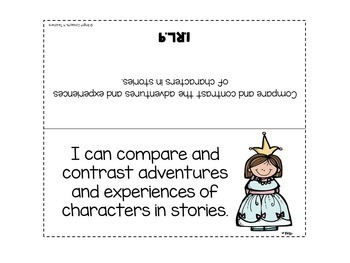 One side is written in "kid-friendly" language with visual graphics for understanding. The other side is the exact standard written and coded for your records. Once you purchase these posters all you need to do is print, cut and laminate! Then they will be ready for you to use year after year. **Please download the preview for more details!